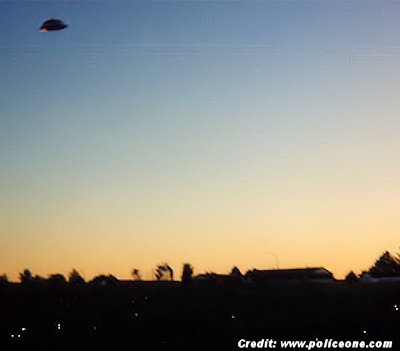 Concerns Over Alleged Police 'UFO' Instigated By Typo? ROSWELL COUNTY, Texas — An unfortunate case of transposed letters in a news article on the local police department’s ‘UFO training’ has left anxiety at an all-time high among the already suspicious citizens of West Hysteria. The mistake appeared in a Sheep’s View Sentinel article covering new departmental training on force guidelines for undocumented aliens. The timing of the typo was unfortunate, coming just weeks after the department quelled rumors that drones were being added to the force for deeper surveillance of the once-sleepy farming town. “I knew they went ahead and bought them damn surveillance bugs. Let’s see how much snoopin’ they get done after I tinfoil my yard,” said Bo Bixby Jr., a potato farmer who says he believes the Sentinel’s redacted report is “just more cover-up.” . . .